Cassie Alsfeld (2008 BACH MCOM), president in 2007-08, thinks LSU alumni have something many graduates of other schools lack – “street smarts” and a built-in fan club. “ … It makes me happy to see LSU shirts and hats everywhere I go, from Capitol Hill to Cancun, Boston to the Bahamas. I even met someone from LSU on a work trip to Amsterdam! We look out for our own. That is the most impressive and important thing about our school and community,” Alsfeld said. Alsfeld encounters LSU alumni at all levels of the business and corporate world as owner of Shoreline Strategies, a communications consulting company specializing in copywriting, editing, email marketing, and online fundraising. 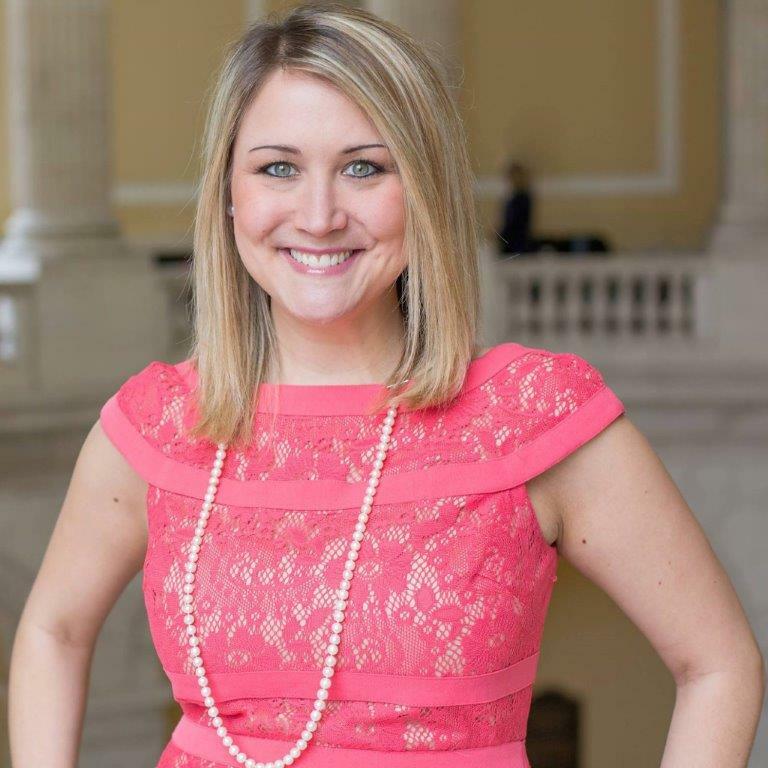 She started the company after more than a decade in national, state, and local politics. “I live, primarily, in Washington, D.C., but I come to home to New Orleans every few weeks or months,” she said. 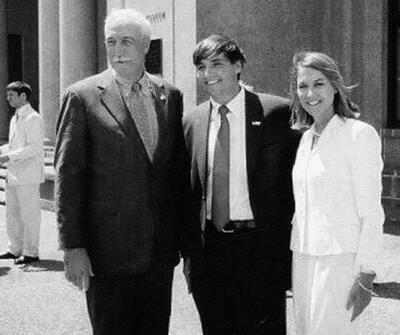 Alsfeld includes in her successes as SG president a safer campus, improved bus routes, work on the Rec Center (now UREC), the “Magnolia Bowl” between LSU and Ole Miss football teams, and testifying before the legislature “on key issues and funding” for LSU. Her vote on the LSU Board of Supervisors gave students “a voice and a seat at the table for every major decision” made during her presidency. She helped maintain access to football tickets for students, implemented “Chats with the Chancellor,” and developed Travelin’ Tigers bus trips to away games, Alsfeld said. 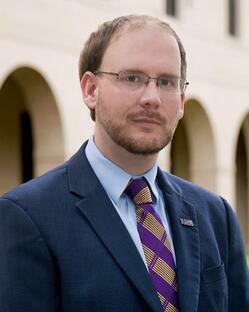 Colorado Robertson (2009 BACH AGR, 2011 MPA), assistant director of risk management at LSU, was named a 2016 Risk All Star by Risk and Insurance Magazine for leading the effort to save the University’s risk management department $10 million. “Little things” accomplished during his time as SG president included keeping the library open later, passing out Scantrons and blue books during finals week, moving the tutoring center from the basement of Allen Hall to Middleton Library, and leading the transition from the Baton Rouge bus system to a private company managed by LSU. Turning to less seismic rumblings: Some students wanted the “Oh Wee Oh” chant back at football games. The chant ended in a rude declaration. It was allowed briefly before the band director pulled it. Again. SG at LSU exceled after Hurricane Gustave wrecked Baton Rouge in August 2008. “Our executive team and senators volunteered to assist in the shelter set up at the PMAC, going door to door in local apartment complexes that had no power for several days to let students know they could get food at campus dining halls and a hot shower at the Rec,” Robertson said. Anything else stand out? 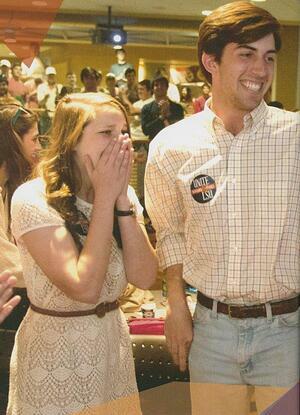 “Most importantly, I met my beautiful wife at LSU and fell in love,” he said. Robertson married Elizabeth Miller (2009 BACH MCOM). John S. Woodard (2014 BACH BUS), president in 2013-14, is back in Louisiana after a few years away – in Washington, D.C., working for then-U.S. Rep. Steve Scalise and in Shreveport, La., working in Dr. Trey Baucum’s unsuccessful campaign for Congress; and for the Small Business Administration. Working with the LSU Ambassadors and the Freshman Council, Student Government under Parks and Woodard helped freshmen fit into campus life. The Division of Student Affairs STRIPES program, was aimed at in-state and out-of-state first-year students. It helped students, especially out-of-state students, learn the campus, Woodard said. “They were introduced to the Tiger tradition. It was, like, earning your Tiger stripes. It wasn’t an SG program, but a lot of SG people were involved with STRIPES,” Woodard said. Woodard worked in Hurricane Katrina relief as a high school student. 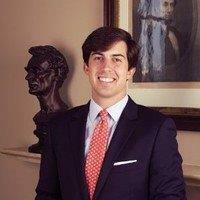 At LSU, he made mission trips to Central America as a member of Kappa Sigma Fraternity. The trips were “mostly Greek with a religious tilt” arranged through Magnificat Travel in Lafayette. “Students were of different religions,” he said. LSU students elected the first black SGA president, Kerry Pourciau, in 1972. 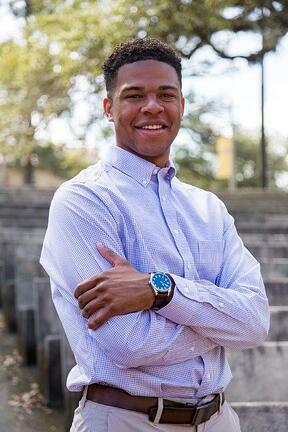 When Stewart Lockett, a black biological engineering student from New Iberia, La., was elected head of Student Government in April 2018, it was still no small thing, Lockett feels. “It’s a big deal,” he said, “because of the climate on our campus and in the state. It’s sometimes divisive. My election showed some progress. The people who voted care and want to see change.” The students who voted for him represent “a different demographic,” he said. It was deep summer as Lockett talked about his time as SG president with days moving slowly toward fall and a new semester. “I’ve only been in office four months, and most of that time has been summer,” he said. Still, he can point to helping rally support for the TOPS program during the Louisiana Legislature’s third special session. His and the efforts of other students, LSU administration. 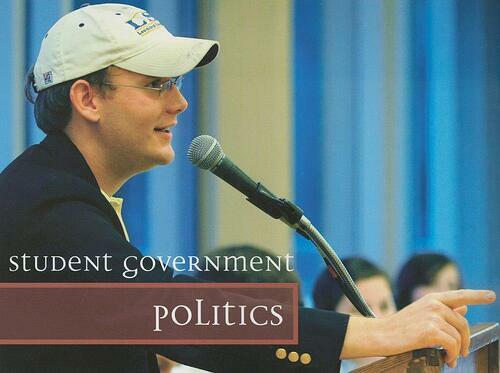 and legislators headed off a $2,200 cut in each student’s scholarship funding. “A lot of students don’t know who I am,” said Lockett, citing his social media attempts to keep students informed on issues affecting them. Why the disconnect? “They’re focused on their social world, internships, research,” he guessed.